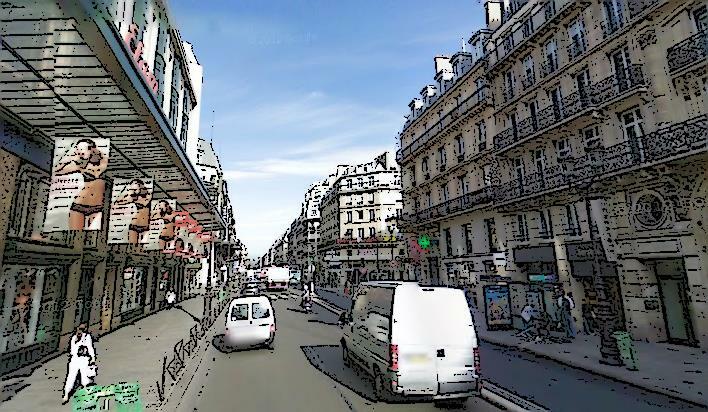 Traffic management in central retail cores is not always easy. 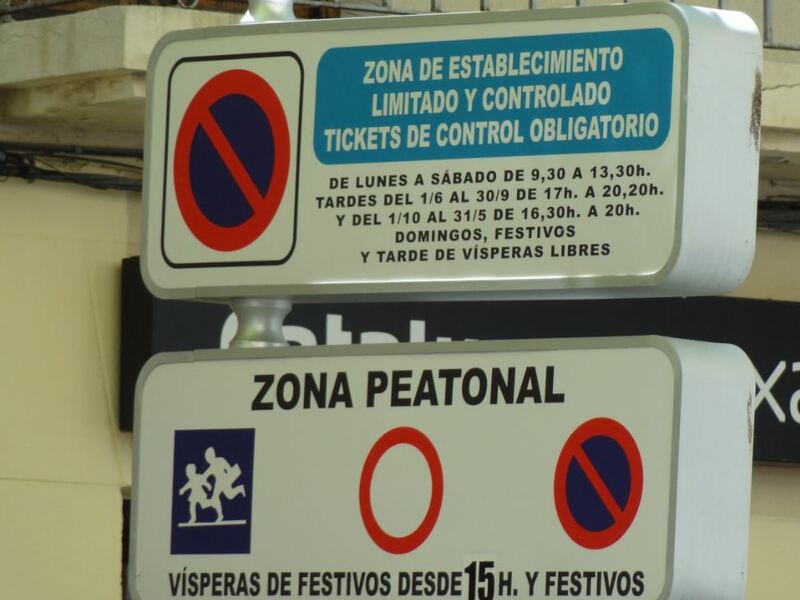 In Madrid it seems clear that the retailers in the Sol- Callao- Montera area have understood that despite the limita-tions to traffic and parking the zone works, mainly as the hub of a pow-erful public transportation system; but in smaller cities, or in other areas of Madrid, this can be contro-versial. Some solutions try to please as well retailers asking for on-street parking as those asking for more pedestrian space. 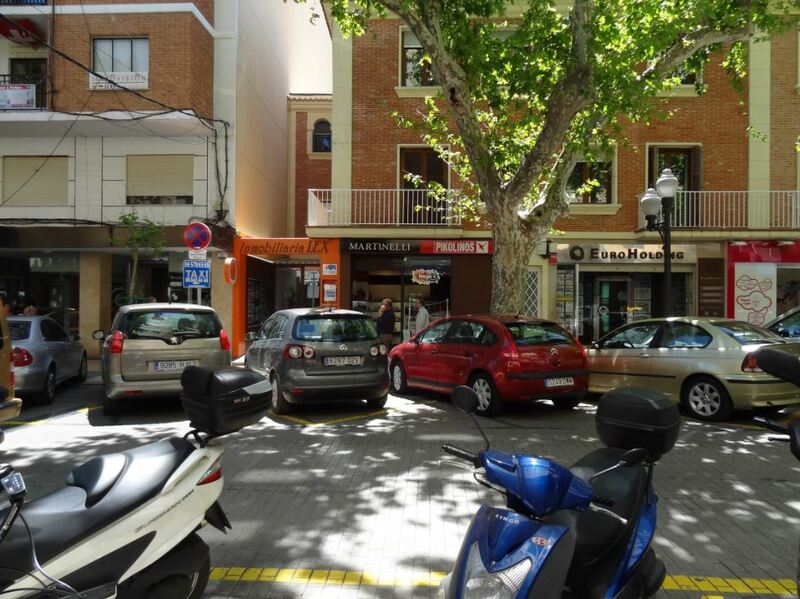 The city of Denia (Alicante) plays a certain centrality role for a set of neighboring municipalities, and this is clear in calle Campos. 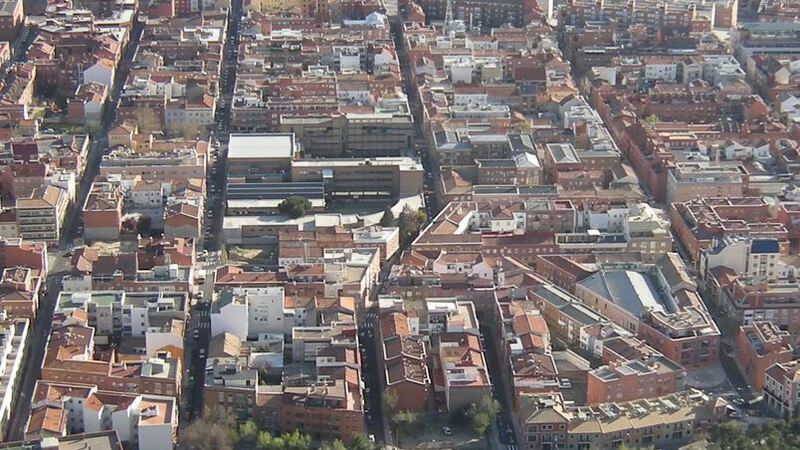 It is not in fact a high place for architecture (rather your average 1960s or later building, with all that this means in Spain), but its urban location and its retailers, as well as the presence of choice retailers in neighboring streets seems (at least during a short stay) to make it the place to be. How to make both concepts work together? With a watch and a cal-endar. The street is pedestrian in certain moments, and it takes traffic the rest of the time (the most often, in fact). I am not sure this would be the best option in general, but it is an alternative that seems to work here (again, I have been a short time) in a city where most of the historic core is pedestrian. 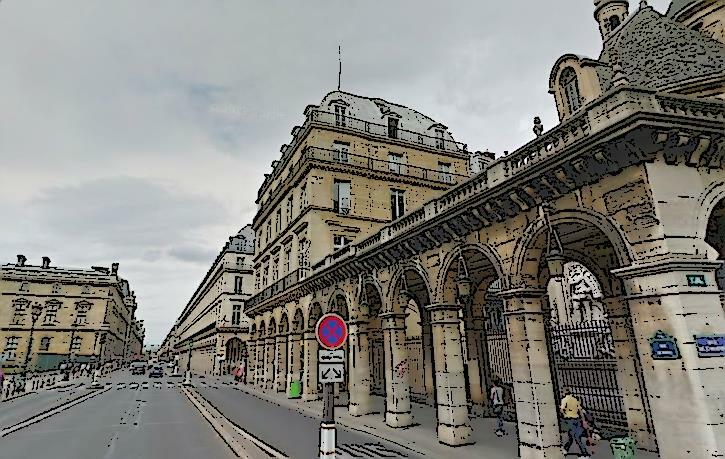 A curious street, or rather a street with a series of extensions: a part of its length longs a park, so it should suffer in terms of centrality (in fact, the street with the most retail is back, St Honoré), but its centrality role is undeniable. 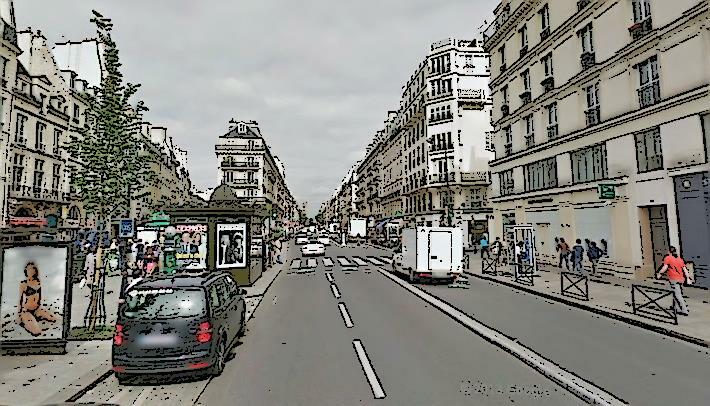 The street begins when the rue St Antoine widens in St Paul, and gets up to the place de La Concorde. 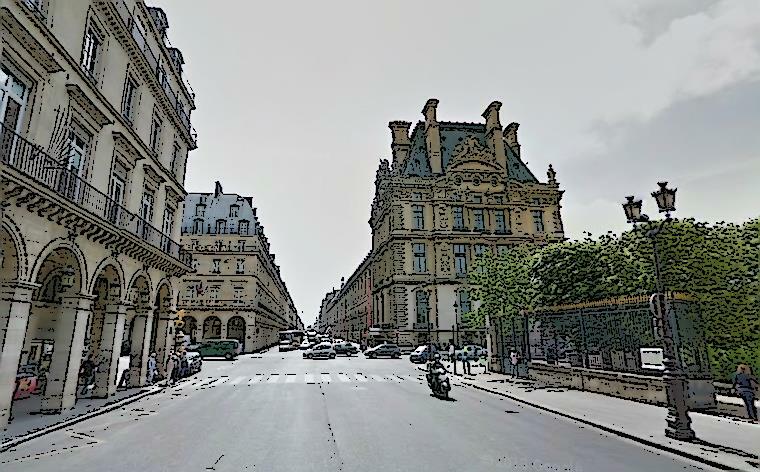 Between its beginning and the rue du Louvre there is a lot of retail (the street has somehow resisted the closing in 2005 of the La Samaritaine departments stores, that could reopen around 2016-2017), when along the Louvre it resists reasonably the huge mass of the palace, and in its final part it creates a good façade, well oriented to the sun and the jardin des Tuileries. The grand finale: Joan of Arc (blue dot) marks the arrval to the jardin de Tuileries. From a 22 m width (with narrow sidewalks to the north as there are arcades) to a substantial widening. And now for an internet finding, as I have never put foot in Porto Alegre (or anywhere in Brazil). 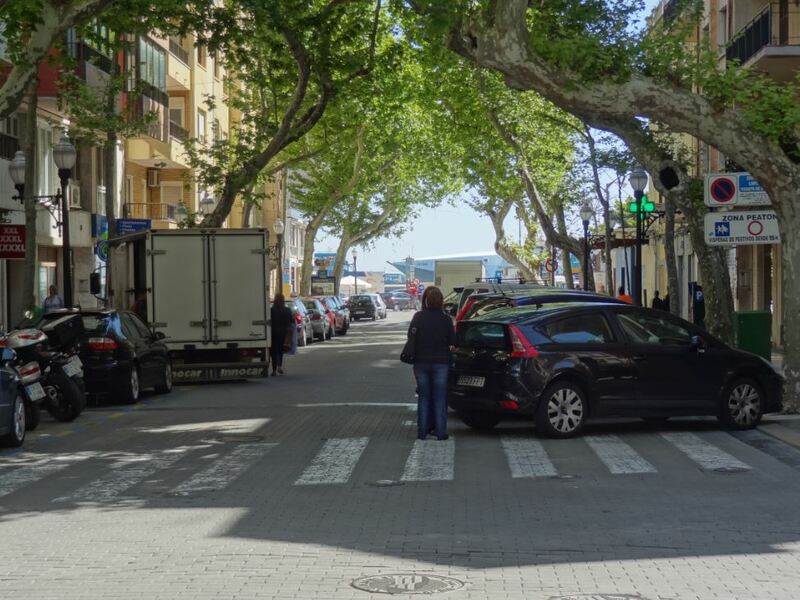 Here is a rather local street, that has wonderful trees (Tipuana tipu, or rosewood) and an interesting space, with a regular paving for cars and sidewalks with irregular stone slabs which seem nice, at least seen from Google Street View’s car. According to the blog poavive, these trees have been planted and maintained by the neighbors, and the street is now a listed space, with legal protection. What surprises me, seen from Spain, is that planting and taking care of the trees is assumed by the neighbors. In many countries this is clearly a municipal affair. Looking at google maps I can see there are other streets in Porto Alegre which also have fine trees, as Marqués de Pombal (a little less dense, in fact), but I do not know if it is also due to the neighbors. 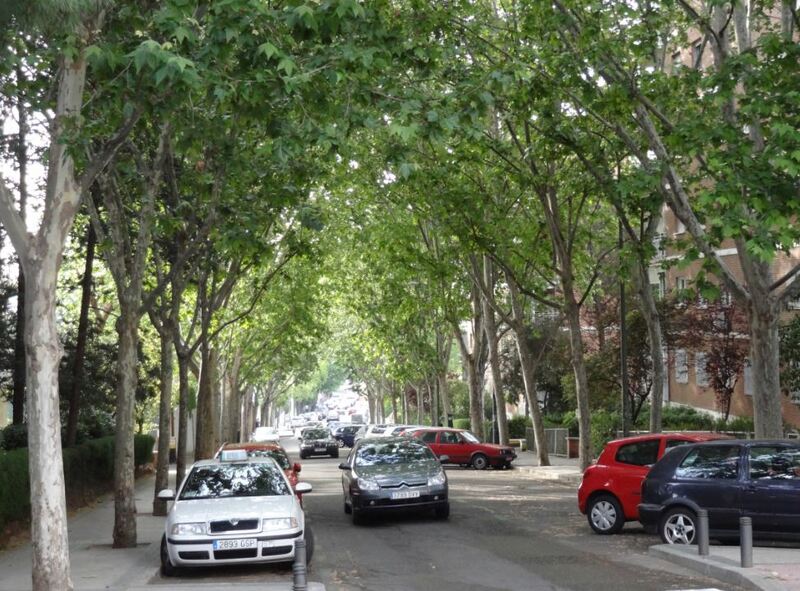 Even here in Madrid, far from being a tropical city, we have some streets with good trees, albeit less exuberant. I reckon also that sometimes the relevant role of the neighbors is preventing the trees from being logged; after reading the post on the amics arbres- arbres amics blog, it seems this was also the case in Porto Alegre. 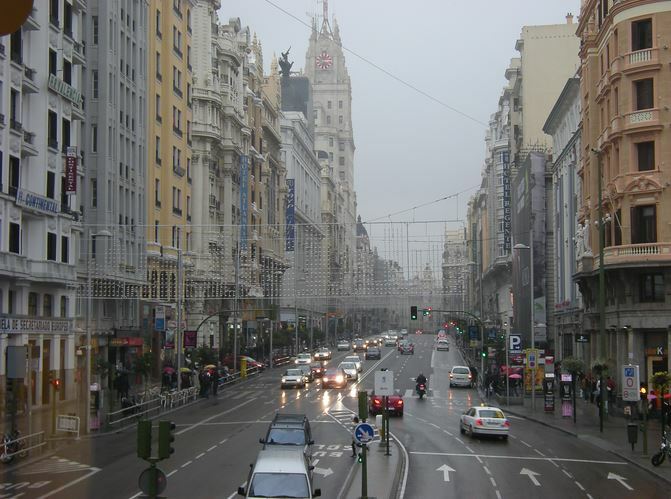 The Gran Vía is to central Madrid, since its inception in 1910, what the boulevards were for Haussmann’s Paris: a large cut through its old urban tissue. But here it is an isolated case. With an irregular plan, it is the moment in which a Spain that had lost the 1898 war against the United States tries to rebuild its image taking America as a reference. An icon of modernity in the post-war years, since the 1980s it entered in a decay dynamic, which began to be reversed since the late 1990s, in parallel to a sizeable work on the public space. 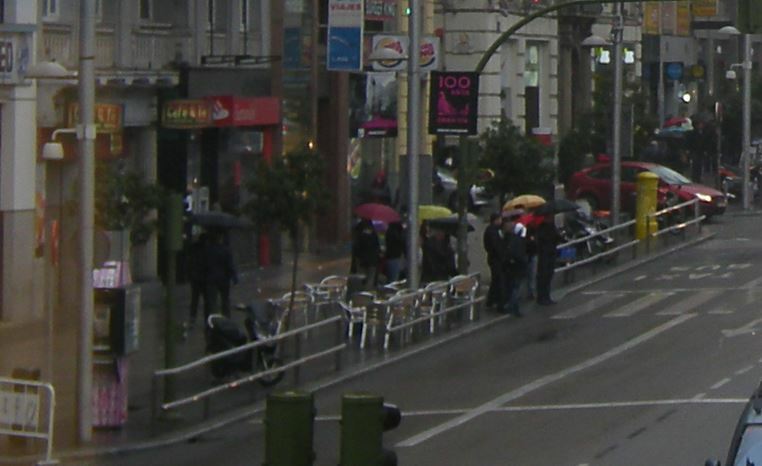 The closure to motor traffic of the Plaza de Callao and the calle Montera allowed an increase of pedestrian spaces, reinforcing the strongest retail area in the city. Right side of the previous image. Some urban furniture elements are perharps a bit to bulky; besides, Madrid could use a system similar to that of London, with underground entrances integrated into buildings, to free the sidewalks (altough in this case the problem is limited), but it is something quite dificult to do in an existing city. The left part of the wide image. 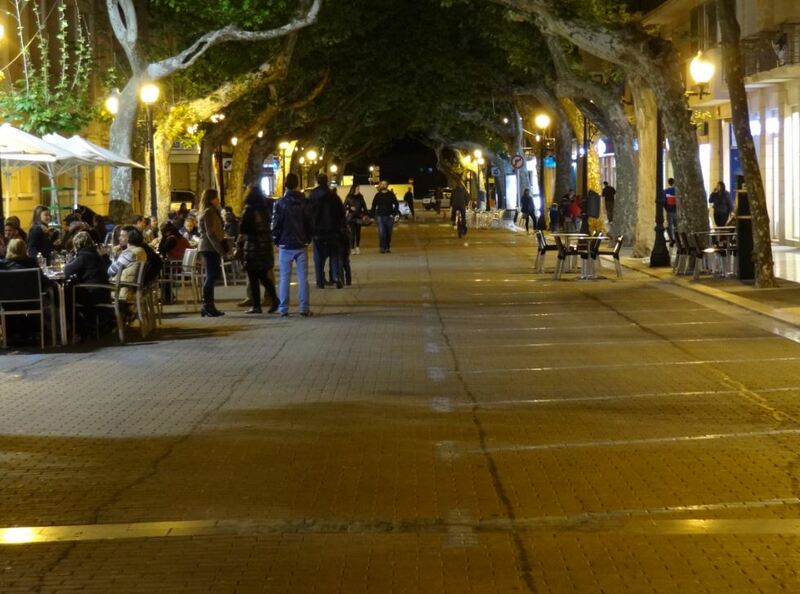 The sidewalk cafes can be seen, as well as the new granite paving and the pedestrian barrier. A complete street is, according to the definition by the National Complete Streets Coalition, a street designed to enable safe access for pedestrians, bicyclists, motorists and public transportation users of all ages and abilities. This blog is written from an European perspective; I do not pretend to know the whole of the 27 states of the Union, but I can talk with some knowledge about the two cases I know best, Spain, Italy and France. The presence of sidewalks, presented as one of the main elements in the American vision, is universal in urban land (but for some historical areas in which usually pedestrians are dominant), although width, and location of poles and signs, are sometimes quite bad; but sometimes the peripheral areas, which are not urban land in planning, can have homes without sidewalks. In illegal building areas the situation is worse. Bicycles are not always well integrated in the street, and the situation varies from city to city. 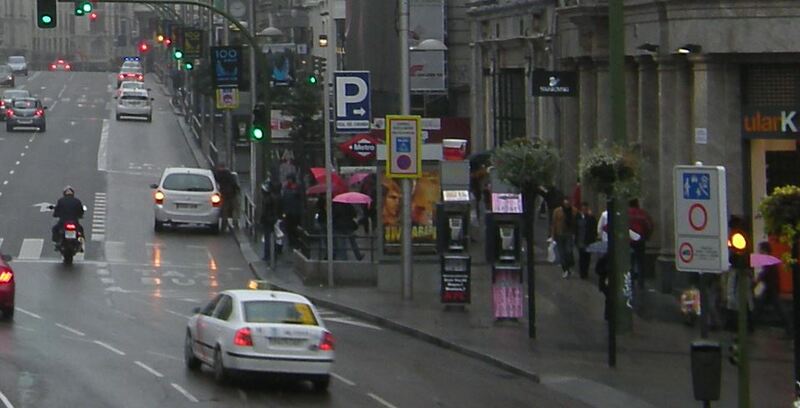 Traffic and pedestrians are not always in a balanced relation, and crossing is dangerous in some places. And some other issues raised by the Americans are also sometimes deficiently addressed. So, in the end, although the Americans are clearly in a worse shape (low densities help), we also have things to correct here in Europe. 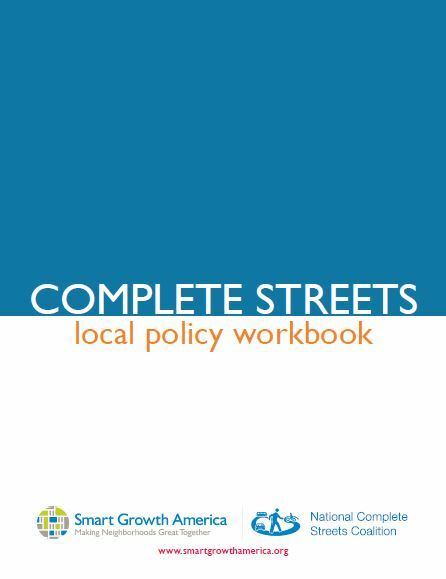 And from that perspective, it is interesting to read the “Complete Streets- Local Policy Workbook”, specially for the most “Americanized “ European peripheral areas. How many tourists are here today? Sure, there is a little trap in the question: in statistical terms, in Spain a tourist is a person that moves from his usual home to a different geographical point, is far from home more than 24 hours, and sleeps in a different geographical place. So, a one day trip to go eat some ribs and then coming back home for your siesta is not, technically speaking, tourism (even if some professionals sometimes count it as such). But visiting your grandmother in her small village in the Yorkshire Moors for some days could be counted as tourism (even if you spend not a penny out of her home). I remember a speech by a former Barcelona City Councilor, now high executive for a tourism company, in which he explained how they were baffled, in the early 1990s, to see the streets of the city bustling with Japanese tourist, while there were virtually no Japanese staying in city hotels. 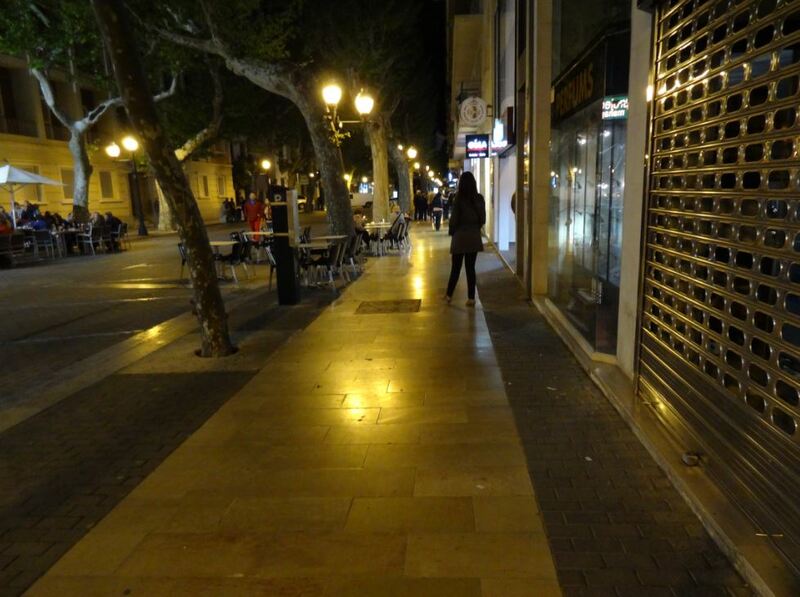 It seems the City Council played a detective game by following around the clock some groups of Japanese tourists, to finally discover that they were sleeping in southern France (therefore concentrating there most of their tourism expenditure) and commuting each day by bus from there. Since, Barcelona has made everything to foster Asian tourism, to become the Spanish airport with most flights to Asia. So, as for many other issues, knowing the precise number of tourists, and their expenditure profile, is always complex and there will always be a degree of fuzziness (it is incredible how many grandmas, or friends letting you use their apartment, exist in this world…), but there are attempts. A method is to count, for a given period, the number of beds open to the public in hotels and other kinds of lodging, and to multiply it by the occupation rate. This does not include the “unregulated offer” (grandmas, friends, or house renting by ordinary citizens), but it is an attempt. The tourism expenditure (which has its own statistical niceties) is a more important affair sometimes. How many people live in the city? – The official sources (census, inscription at City Hall) are published for a given day, in the best case each year. So they are accurate for… a day. – The real number of residents in a city can depend on the ratio of cheaters. For instance, when residing in a city can allow you the access to a parking slot for residents, or a school for your offspring, it is not unusual to see families move to a peripheral municipality, while trying to stay registered as residents in the central city. Maybe a little fraud, but hard to detect and correct (central municipalities, as all, receive money in proportion to registered residents, and on the other side sprawling municipalities derive most income from building and consumption). – Even if you are sure that your citizens never cheat, if they live in a metro area their realities go beyond municipal border. Besides, beyond a certain moment, knowing the precise figure has a marginal use; the use citizens make of resources (water, electricity, transportation…) do not depend just on the number of residents, but rather on their consumption patterns, which are more complex to know, and even more to predict, and here the systematic data about recent resource use can be of help. It is important to have a trustworthy reference figure for the city population, but even more important is to know the structure of these populations. For instance, calculating the need for schools depends more on the number of compulsory school age kids (variable, but not that much during a given year) than on the overall population, and the same goes for other issues. The problem of data falsified by residents to profit reappears, and so, again the relevance of the final figure (kids in schools) rather than the official population figure. – Electricity is often provided by several private companies that do not disclose detailed information. Gas delivered by pipe is in the same situation. Despite that, you can (theoretically) obtain a figure at the household level. – Fuels are rather complex, but for deliveries to big clients. How to count the automotive fuels, at the pump, at the owner’s address, or in the road sections where they are burnt? And the bottled gas sometimes sold in some filling stations? Or wood? And there is another problem: efficiency. What matters is not just how much energy you use, but rather how efficient that use is. The district heating systems that are common in northern Europe often begin as isolated power stations, but gain in efficiency as they are integrated in grids, as well as a home can be more efficient if the wall insulation is upgraded. So there is not just an issue of consumption, but also of the benefit that derives. The energy part of the Green City Index, by Siemens, gave in 2009 the highest mark to Oslo (8,71), while London was 10th (5,64) and Madrid 12th (5,52) among the 30 studied European capitals. These marks resulted from 3 quantitative criteria: energy consumption (Gj per capita), energy intensity (Mj per unit of real GDP), renewable energy consumption (% of total consumption); and a fourth qualitative element addressing energy policies. How many cars are moving in the city? Why would you want to count the cars in the city? To be able to dimension properly your street traffic lanes, either to enlarge them or to keep them in such a state as not to increase congestion by appealing more traffic, as often is the case in enlargement projects. 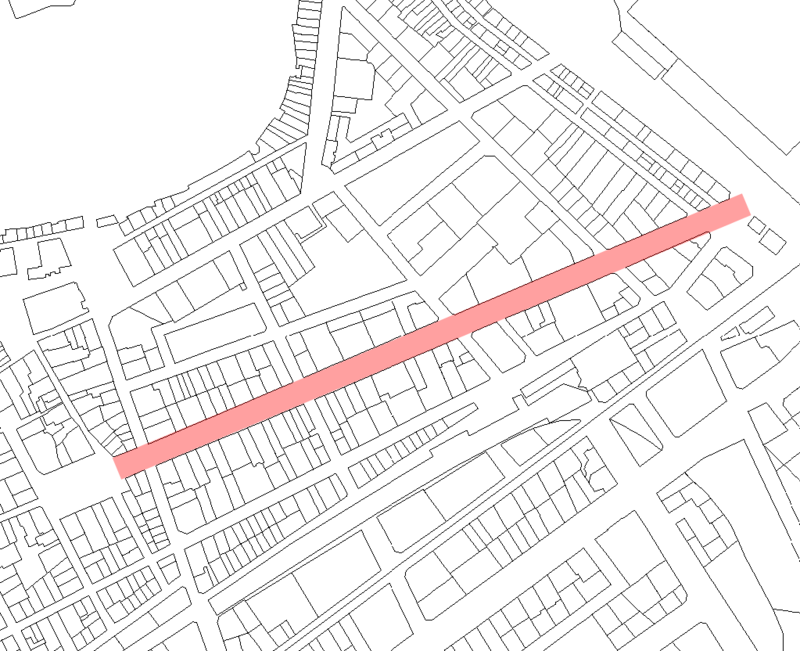 Usually measures are taken on a limited number of streets which have a structural role and concentrate most of the cars, without deeming relevant the traffic in smaller streets. But there can also be a clearer incentive: to levy a tax for using the public space, a rare commodity, and so subvention public transportation. 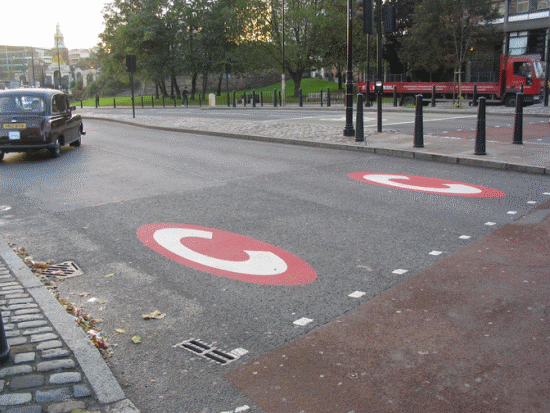 This is the policy instituted in London in 2003 with the Congestion Charge. The system works from 07.00 AM to 06.00 PM, Monday to Friday, with some holidays being exempt. There is 90% reduction for residents. The system depends on 197 cameras along the area’s border, integrating a plate reconnaissance software that allows the charging and fining; as vehicles are bulkier and follow more predictable rules when moving, the cameras are more reliable here than to count people. There are similar charging systems in Singapore and Oslo, and despite the problems that prevented a similar option to be enforced in New York, San Francisco is on the way to apply a charging system.